Home Group is a social enterprise charity and is now one of the UK’s largest providers of high-quality housing and supported housing services. They have a largely online workforce of 3,200 employees who operate from 120 locations. Home Group conducted a review of their benefits offering to meet two main goals – reward and retain brilliant people, and be 20% more efficient. The Home Group HR team used focus groups and reward surveys to discover that their colleagues didn’t know about the benefits available or understand how they fit into their overall package. This was compounded by the fact that less than 20% of colleagues were using the available employee discounts. The offering which Home Group had in place at the time was outsourced to a third party and required colleagues to go through a cumbersome double login process which required remembering two passwords, caused frustration and generated large amounts of admin. On top of this, the employee discounts were added in by another third party who didn’t pass on the full discount amount to employees, keeping some back for themselves. It neither rewarded brilliant people nor offered efficiency. Benefits perception has a direct link to attraction and retention so the HR team had the challenge to increase engagement and awareness with Home Group’s reward package. A large part of this challenge was the modest budget which the team had to play with and value for money was a key decision driver. Home Group’s team saw the importance of keeping colleagues involved throughout the project and chose to engage them through webinars, supplier demos and remaining transparent, as well as asking what they “liked” about the current offering and what they would “love” to see. After this initial phase, Home Group decided to partner with Reward Gateway. This allowed them to create a central employee hub called “My Discounts” with the important additions of single sign-on for seamless access, improved employee discounts and reduced running costs. Home Group’s Internal Communication team then worked with Reward Gateway to tie their employer brand to their internal concept of “that’s when it hits home” – focussing on real-life examples of how colleague and customer lives can be impacted. This also included the design of a My Discounts hub logo which featured their corporate colours, images of colleagues used on promotional materials, and customised postcards sent home. Two weeks after launching the My Discounts employee hub, Home Group launched Facebook for Work. This allowed the team to share updates, stories, pictures and videos, massively increasing the visibility of the My Discounts offering and bringing it to the forefront of colleague’s minds. Thanks to the involved colleague approach, Home Group’s workforce was engaged even before the My Discounts hub launched. 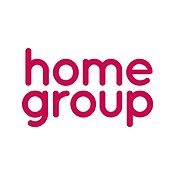 Within two weeks of launch, Home Group saw 25% of colleagues engage with the offering, as well as spend reaching 3x the amount from the same period of the previous year. More than half of the most popular retailers on My Discounts are instant, showing that the improved range is making a big difference for colleagues who work remotely and rely heavily on the use of smartphones. The team’s efforts to revamp communications have been a hit too, with 85% of colleagues using Facebook for Work, giving them the leading edge in their sector – as measured by Facebook feeding back that Home Group is one of their most successful NGO launches. And not only have Home Group seen a higher ROI compared to the previous provider, it also saves them £9,000 a year compared to outsourcing. On top of this, they’ve achieved a 33rd Great Place to Work position and plan to re-invest their extra budget into recognition, further enhancing retention and engagement.